2D and 3D graphic applications are hot to get virtualized these days after CEO Mark Templeton, CITRIX and CEO Jen-Hsun Huang, NVIDIA annonced, you can virtualize GPU intense applications on any device at Citrix Synergy in Anaheim, May 2013. Autodesk is all ready a part of the Citrix ready program so you can virtualize CAD applications on Citrix, NVIDIA technologies. PTC is following this new trend and at their PTC LIVE event in Anaheim, June 2013, their Executive VP Mike Campbell from PTC announced the certification of PTC Creo 2.0 M060 as Citrix Ready, so you now can run their application in a Virtualized Citrix, NVIDIA environment from any device with the Citrix Receiver. NEEDHAM, MA – June 10, 2013 – PTC (Nasdaq: PMTC) announced its PTC Creo® design and analysis applications will be available and supported in a Virtual Desktop environment. Five of the leading apps,PTC Creo ParametricTM, PTC Creo DirectTM, PTC Creo LayoutTM, PTC Creo Options ModelerTM andPTC Creo Simulate, have been verified as Citrix Ready. Starting with PTC Creo 2.0 M060, these applications will be supported by PTC when running on virtualized desktops on an IBM server through a Citrix and NVIDIA-powered integration. PTC’s support for virtual desktop configurations will enable customers to realize improved performance when working with large assemblies stored on a remote server, while ensuring IP protection of the design data and streamlining administration and deployment of PTC Creo. It will also grant users the freedom to work on a wider variety of operating systems – including mobile – through the Citrix Receiver and NVIDIA GRID vGPU technology. In design and manufacturing today, customers face increased pressure to reduce IT costs, while improving flexibility and performance. They need to have the ability to get global teams up and running quickly in new locations, and they need all teams to be able to easily access the latest software installation by updating a single server. Virtualization of PTC Creo design and analysis applications can help IT managers accomplish this. 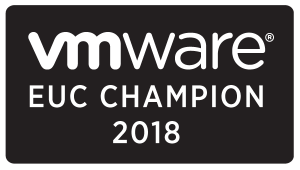 “We want to thank IBM, Citrix and NVIDIA for collaborating with us in this initial process and we’re looking forward to many other PTC partners certifying their virtualization hardware/software with us,” continued Campbell. In addition to the performance edge, running PTC Creo in a virtualized environment offers customers a level of IP protection that is not available with alternate deployment methods. Company data stays on its servers, allowing customers complete freedom to collaborate with external design partners in real time utilizing the same design data. By supporting virtual desktops, PTC also empowers users to use a device of their choice, be it a device powered by Windows, Mac OS X or any of the major mobile platforms as well – iOS, Android, and Windows Mobile. This will add an additional element of flexibility and accessibility for PTC customers by eliminating the need for every member of the extended development team to have a Windows-based device solely dedicated to design or analysis tasks. 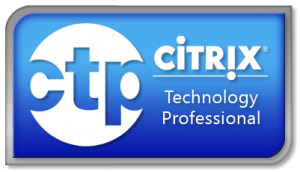 The Citrix Ready program helps customers identify third-party solutions that are recommended to enhance virtualization, networking and cloud computing solutions from Citrix. PTC Creo applications completed a rigorous verification process to ensure compatibility with Citrix XenDesktop® with Citrix HDX 3D Pro and an NVIDIA GRID K2 board with two high performance NVIDIA KeplerTM GPUs, providing confidence in joint solution compatibility. 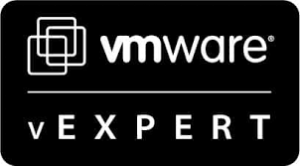 In addition to Citrix verifying PTC Creo applications as Citrix Ready®, PTC has tested and certified the complete virtual technology configuration consisting of PTC Creo 2.0 M060 running on IBM iDataPlex dx360 M4 server, Citrix XenServerTM and XenDesktop with HDX 3D and NVIDIA GRID K2 graphics boards. PTC Creo certification provides customers with assurance that the specific certified configuration has been thoroughly tested by PTC and that PTC expects PTC Creo will run without issue on the certified configuration. PTC Creo Parametric is running in our first certified configuration at IBM Booth #326. PTC expects PTC Creo 2.0 M060 will be available in late June. The timing of any product release, and any features or functionality thereof, are subject to change at PTC’s discretion. PTC, IBM, NVIDIA and Citrix have collaborated to test an entire solution stack comprising the IBM iDataPlex dx360 M4 server, NVIDIA GRID graphics boards, Citrix XenServer, Citrix XenDesktop HDX 3D Pro and the following PTC applications: Creo Parametric, Creo Direct, Creo Layout, Creo Options Modeler and Creo Simulate. Together, we are meeting the needs of any Creo user, from the PLM user who needs to view complex 3D models from any device, anywhere, to the most demanding design engineer. Intellectual property containment – 3D models and other confidential data never leave the datacenter, and file copies from central repositories like the PTC Windchill server are not necessary. Improved speed and performance when dealing with large models – Overall system performance is even better than local since transferring large files from central stores to user endpoints is no longer needed. This greatly improves productivity since users don’t have to wait for large file copies from one location to another. Anywhere access – With Citrix Receiver available on any device including Windows, Mac, iOS, Linux and Android, the entire solution is accessible from any device, anywhere.